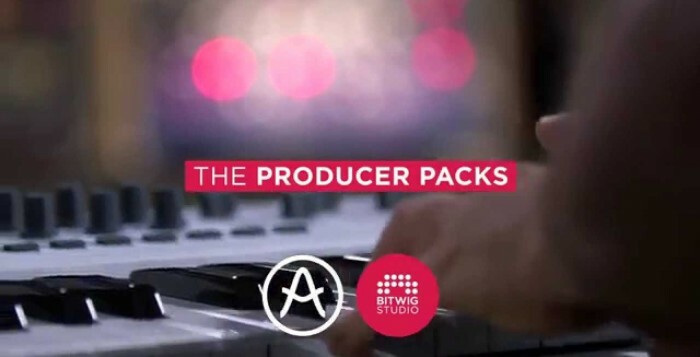 Leading manufacturers Bitwig and Arturia have combined their considerable resources to create the Producer Packs. 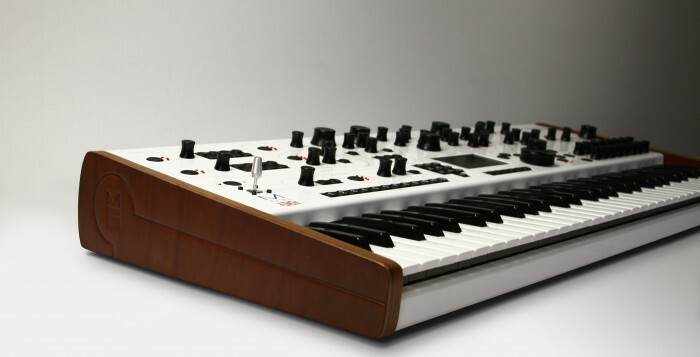 Comprising of a full version of Bitwig Studio, an Arturia Keylab keyboard, Arturia’s Analog Lab software, and a full copy of the Arturia Mini V synth (the new, improved and rebranded MiniMoog recreation), this promises to be a combination that covers all bases in production and sound design scenarios. Taking full advantage of Bitwig’s welcoming attitude towards controller integration, Arturia have managed to embed the Keylab into Bitwig Studio at a very deep level which allows for direct hands on control of the Bitwig software as well as the devices within Bitwig. You can navigate between tracks, control your transports, have direct access to device parameters, mix your audio, you can control pretty much anything you might want to straight from Keylabs physical interface! Couple this strong integration with the 5000 sounds in the Analog Lab and the sound design possibilities with the Mini V and you have everything you need to make music in a very small and well rounded package. The Producer Packs are available in 3 different flavours, corresponding to which size Keylab you want, with 25, 49 and 61 keys available. This also affects the price of the packs which, by the way, are incredibly low. At €/$349, €/$399, and €/$499 (for the 25, 49 and 61 key versions, respectively) you’ll be saving upwards of 40% on each package! Only available until stocks run out, watch the promo video above to get a flavour of the package, the tutorial video below to see just how easily it is to get things moving, and then head on over to the Producer Pack page to get involved. If you’re still unsure then make sure to pay a visit to the Bitwig and Arturia sites to get full details. Honestly, if you’ve not tried Bitwig yet you really need to. It’s pretty amazing. Antelope Audio MP32, 32 channel high end preamps in a 2U space. Antelope have already had a very good 2014 with the launch of their successful audio interface, Zen, but, at the 137th AES show held this time in LA, they’ve shown they have more in store for the year with the Antelope Audio MP32. At its heart the MP32 is a 32 channel mic pre featuring the same console-grade preamps as found in the Zen. All mic pres offer individual phantom power and can function as line inserts thanks to the combi inputs all found on the front of the unit. Four of the inputs can also be used as Hi-Z inputs, and all channels can give up to 68dB of transparent gain in 1dB steps. A software control panel offers fine control over all the features giving easy access to mic/line/Hi-Z switching, gain controls and the per channel phantom power. Big VU style meters also afford quick-glance checking of levels, and complex routing scenarios can be saved and recalled in no time at all. Antelope Audio say they’ve designed the MP32 with their highly regarded Orion unit in mind. The Orion is a 32 channel ADDA convertor with multiple I/O options (MADI/ADAT/analogue/USB/SPDIF) and they’ve managed to fit it all into a 1U box. With a combined rack space need of 3U, the MP32 and Orion combination should make an attractive proposition for engineers working in a wide range of disciplines. Coming out in Q4 2014, the MP32 will have a street price of $2995 with a special discount for existing Orion owners. For full details head on over to the Antelope Audio MP32 product page. 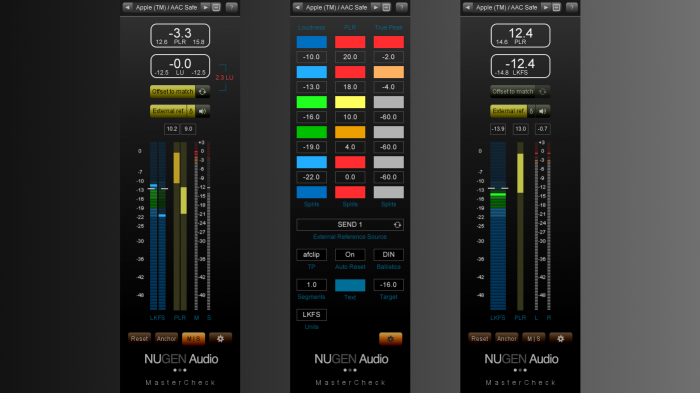 Nugen Audio release new Mastercheck meter aimed at the music industry and podcast community. 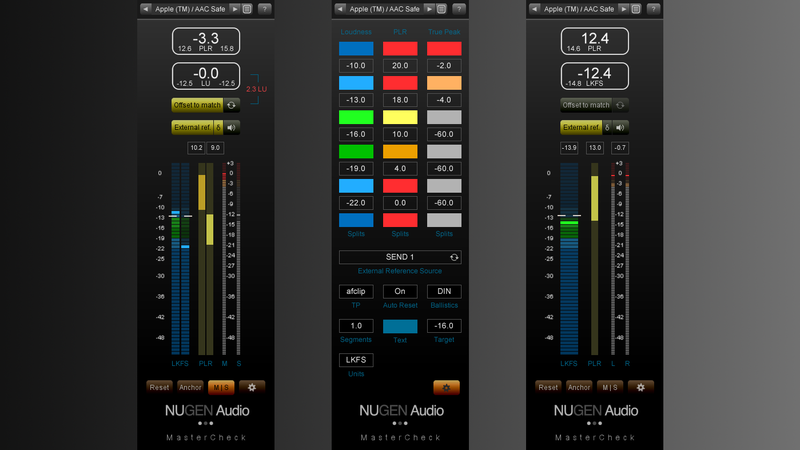 Nugen Audio, whose name has become synonymous with high end, professional, mission critical, tools have launched Mastercheck, a brand new meter that aims to help us find our way through the new “loudness normalisation” landscape that has opened up before us. Now there’s no advantage in simply being louder than the rest, the unique “Offset To Match” feature will allow immediate referencing at the levels your listeners will be fed using all the major international standards in use today. With a new standardised numerical measure of dynamic content/range, the Peak to Loudness Ratio (PLR), Mastercheck offers both a short-term and full program loudness dynamic content display. Streaming services utilise compression codecs to deliver audio and they can cause nasty clipping if given too hot audio. Mastercheck allows for Inter-Sample True-Peak monitoring so you can see when your audio will get mangled by compression codecs. Quickly feed in some reference material using the built in sidechain and quickly A/B between that and your audio. Easily and conveniently switch between your processed and unprocessed audio with instant loudness matching. Mastercheck allows you to properly hear whether a louder master is better for your audio when loudness normalisation is in full effect. While a reasonably simple concept, the practical implications of loudness normalisation have introduced some fairly complicated decisions into the mastering process so any tools that can make this area clearer will be very welcome indeed. If Nugen Audio can carry over their brilliantly simple design, workflows, and ease of use from their other products into Mastercheck then this will surely be a vital tool in your arsenal. Available now for Mac and Windows PC, it’s priced at £80/$129 (plus VAT/taxes), and comes as a VST 2, VST 3, AAX, AU and Audiosuite in 32/64bit. RTAS is 32bit only. Go to the Mastercheck product page for full details. Online store turned developer, Plugin Boutique, have released their second synthesizer, the VirtualCZ. Casio synths were big business in the early 80s and in 1984 Casio launched a new line with the release of the Casio CZ-101. It was notable on its release as it used Phase Distortion synthesis, had a 49 minikey keyboard (rather than the more familiar full size 61 keys), and was one of the first synths to put a fully programmable polyphonic synthesizer within reach of the general public with a price point of under $500. It was a massive success and Casio then went on to launch 7 more models in the CZ series culminating in the CZ-1. Perhaps because of some of the features found on some of synths in the range – miniature keys, built in speakers – they never really quite got the same respect afforded to other digital synths of the time but the CZs were fantastic keyboards and became a great weapon in lots of producers arsenals and were in LOADS of techno, house, rave and synth-pop records in the late 80s and early 90s. Little wonder then that the CZs have been brought back to life in the VirtualCZ. 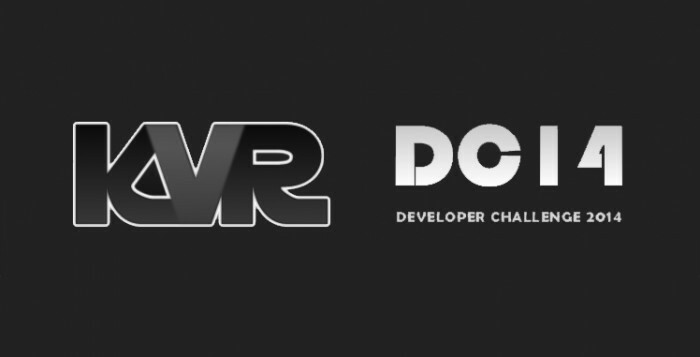 The VirtualCZ mirrors the Phase Distortion architecture and provides all the original features and controls of the original models while adding some very welcome features of its own. You get switchable envelopes between the original 8-stage design and the more familiar ADSR, stereo panning, upto 8 voice unison, there are 2 chorus effects, and while it models the CZ-1 “out the box” you can also choose to emulate either the CZ-101/1000 or the CZ-3000/5000! Intriguingly, the VirtualCZ can also act as a SysEx editor/librarian for any of the hardware synths meaning the original hardware also gets a new lease of life. Priced at a very reasonable £59/$99 it’s available now directly from the Virtual CZ product page where you can also find full details and feature list. Check the demo at the top of the page and a walkthrough below. Livid Instruments have announced the immediate release of the new DS1 controller. Measuring 31.3cm by 30.5cm this low profile, aluminium, almost-square features a whopping 44 rotary knobs with customisable colours for the backlights, 4 push encoders, 25 RGB backlit buttons, and 9 60mm faders. 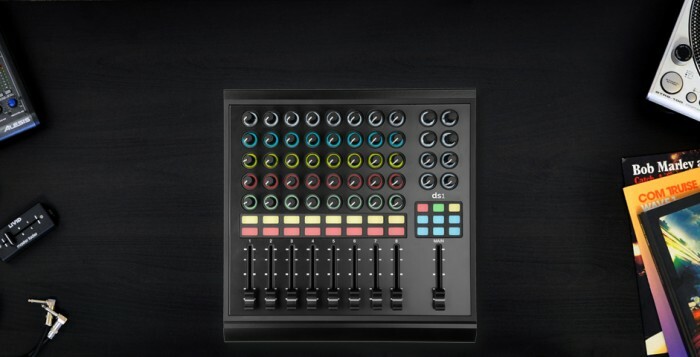 All knobs and buttons are soft touch, MIDI is sent over USB and there is also an Expression Pedal input for hooking up any suitable extras (Livid suggest their MasterFader would be a good use of this input). 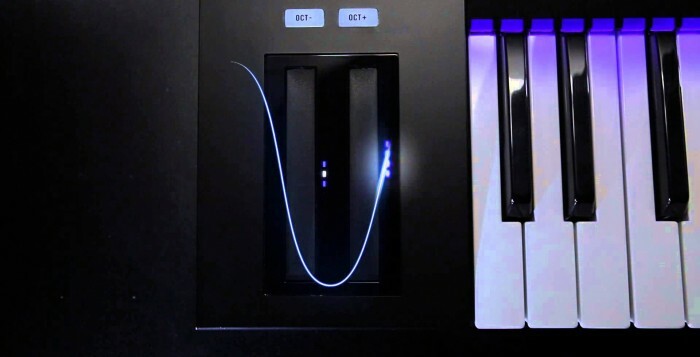 Since the DS1 uses MIDI it doesn’t have to be confined to mixing and is suitable for performance, production, and other situations where MIDI control is central to operations. In fact, the DS1 comes with templates for a wide range of DAWs and programs right out of the boxm including Bitwig Studio, Logic, Live and Traktor amongst others. Priced at $499, it can be purchased from the Livid online store and any authorised reseller. For full details check out the DS1 product page. iZotope have just announced that the latest version of their highly acclaimed audio repair and enhancement suite, iZotope RX 4, is available now. Leveler – Automatic balancing of vocals, dialogue and voiceovers. Also included in both versions are exporting marker regions as files, FLAC and Ogg Vorbis codec export support. updated timeline ruler that displays original recorded source timecode, support for 24fps timecode, and the ability to display ID3 tags and Broadcast WAV metadata. For a full breakdown on what version has what features go here. It appears that iZoptope have really gone all out on making RX 4 not just better on the audio side but also for workflow which is a massive deal for any professional. Available for purchase now, iZotope is running a special early bird discount of $50 on the regular version bringing it down to $299 (from $349), and saving a whopping $200 on the Advanced version making it $999 (down from the usual price of $1199). Prices will go up to the regular points on September 25th so get in there before it’s too late. Special upgrade pricing is on offer but users will need to access their user accounts on the iZotope website to get their offer. Also, iZotope are offering a free upgrade to all registered users of iZotope RX 3 if they purchased it on or after 01 July 2014. To buy, get full details and try out the full 10 day demo of both version go to the RX 4 home page. Also, if you’re going to IBC in Amsterdam over the next few days, check out the AVID Booth which can be found in Hall 7 | Stand 20 for a viewing of RX 4 in action. Native Instruments have formally announced a double whammy of Komplete Kontrol S alongside Komplete 10. 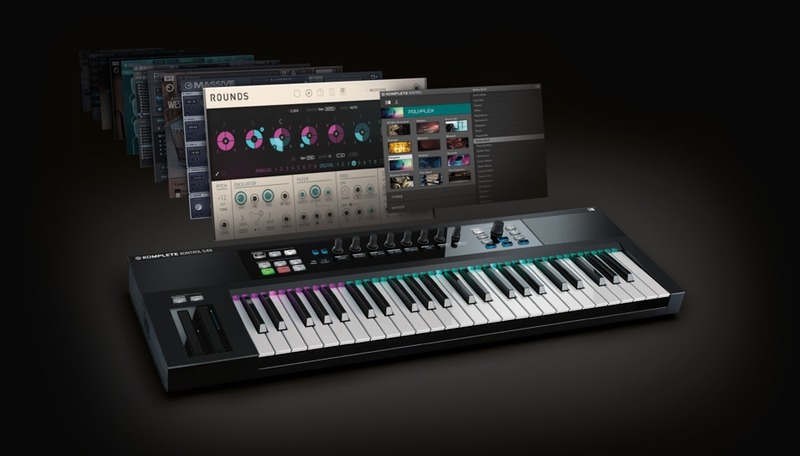 It’s been no secret that NI have been developing a controller to debut this autumn, leaks and teasers have been appearing the past couple of months, but now it’s officially been announced that the project was for the Komplete Kontrol S keyboard and controller. Looking a lot like NI wanted to have this stand side by side with Maschine, it comes in 3 sizes – 25, 49 and 61 Fatar keybed keys – and all control options appear to remain intact across the three lengths. Komplete 10 is also here. 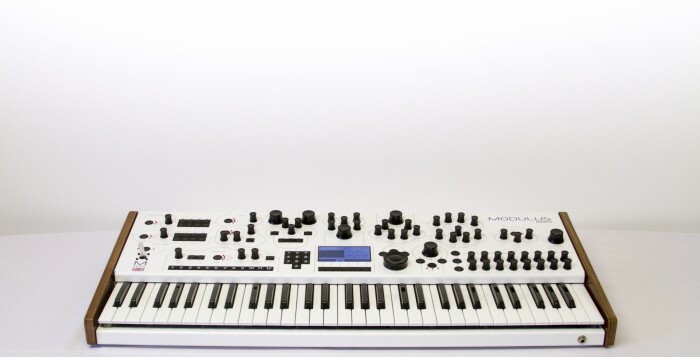 It offers 3 new synths and 3 new acoustic instruments. In the synths you get: Rounds – a sequencer with both analogue modelled and digital synth engines, Polyplex – a sampler built in conjunction with Twisted Tools, and Kontour – a phase modulation synth designed by NI co-founder Stephan Schmitt. With the acoustic instruments there are 3 pianos: an 1908 upright called The Gentleman, a concert grand called The Grandeur, but most interesting of all is The Maverick, a 1905 concert grand make especially for the Prince of Prussia! 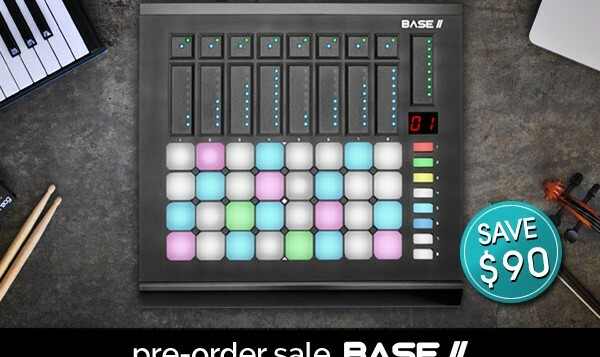 Komplete Kontrol S is available for £429, £499, or £599 for 25, 49 or 61 keys, respectively. Komplete 10 is available in either regular or ULTIMATE editions which clock in at £429 or £849 respectively. Upgrades and crossgrades are available. For a full breakdown of the difference between Komplete 10 and Komplete 10 Ultimate check here. 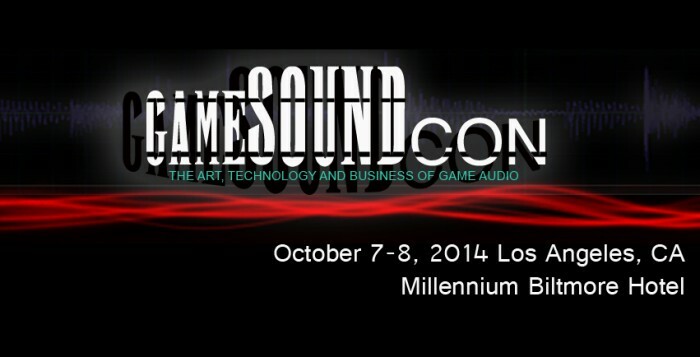 All will be available on October 01, and for full details check the Native Instruments website. ATC have announced the release of two new high- performance reference nearfield monitors — the active SCM20ASL Pro (V2) and passive SCM20PSL Pro. The massive neodymium motor with heat-treated top plate is optimised to ensure an extended frequency response (-6dB @ 26kHz) and low non-linear distortion. The geometry of the waveguide is designed for optimum dispersion and made from a precision-machined alloy so that the entire structure is extremely rigid and free from resonances. The bass/mid driver used in both loudspeakers is ATC’s proprietary 150mm/six-inch Super Linear device. Constructed with a 75mm/three-inch voice coil and a short-coil, long-gap topology, it combines the high-power handling and low-power compression usually only found in large, high-efficiency systems with the fine resolution and balance of modern high- fidelity systems. Unique to the drive unit is ATC’s Super Linear technology, which, by employing specialist materials in the magnetic circuit, reduces third harmonic distortion in the lower midrange. The electronics in the active design have also had considerable development time invested in them, resulting in reduced noise and distortion (a further -10dB @ 10kHz) and a reduced operating temperature for improved reliability. The amplifier design is a revised version of ATC’s discrete MOSFET Class A/B design with 200W and 50W continuous power available for the bass and high frequency sections, respectively. The user controls have also been improved over the previous generation with more flexible input sensitivity controls and a revised low frequency shelf control to help achieve good balance in difficult acoustic conditions. The amplifier includes protection circuits for both DC offset and thermal overload. The cabinet has been restyled to more closely follow the larger monitors in ATC’s professional range and is constructed from heavily-braced MDF. Highly damped, elastometric panels are bonded and stapled to the cabinet’s inner walls to suppress cabinet panel resonances, while the enclosure’s front panel is heavily radiused to reduce cabinet diffraction, improving the frequency response and imaging. 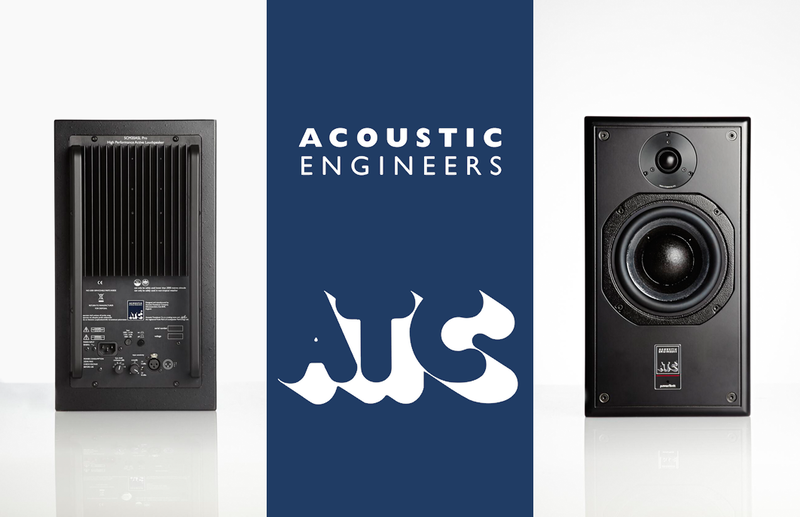 ATC monitors and loudspeakers can be found in countless professional studios and environments so while it can be difficult at times to really appreciate the numbers and stats without actually listening to monitors any new items from ATC deserve consideration and a spot on your “Audition” list. The passive pair, SCM20PSL Pro, are £2083 plus VAT and the active pair, SCM20ASL Pro V2, are £3647 plus VAT. Both are available worldwide from any authorised ATC dealer. Full details can be found at the ATC website. TC Electronic have just announced an addition to the TC System 6000 that will make life A LOT easier for a whole raft of users – the System 6000 Integrator. 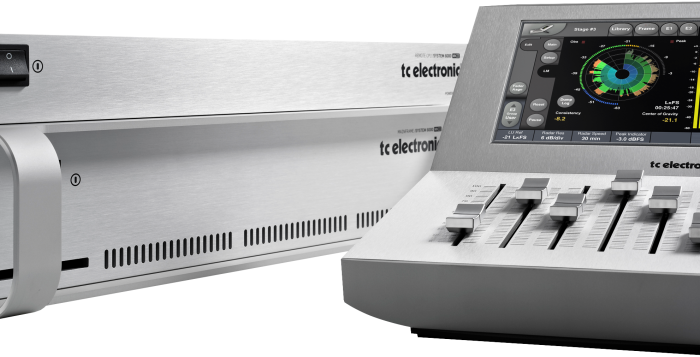 Anybody familiar with the TC System 6000, or any of its predecessors, will know that using it as part of a DAW or NLE project demands saving your settings separately from the DAW or NLE project and or some crazy inconvenient midi . Now this inconvenience has been consigned to the past with the launch of the Integrator. Using an ethernet cable to connect the 6000 to your computer, Integrator allows your DAW or NLE to use the 6000 as a plugin within your internal processsing chain enabling saving and recalling 6000 parameters as part of your project. In addition to that, using automation allows for preset changes within a project meaning the 6000 system can be far more flexible than before. On top of everything else, using the ethernet protocol allows for multiple 6000 to be used in the same project. Integration between the software and hardware worlds has been accelerating in the past few years and it’s really good to see TC Electronic get on board here. The System 6000 Integrator can be used as either as a AAX, RTAS, VST, or AU plugin and users will need an iLok account and iLok dongle for the license although the license can then be stored either on the key or host computer. Currently available at an introductory price of $299 until September 01 2014 when it go up to its usual price of $499. A fully functional 14 day demo is available. For full details and for the demo download go the System 6000 Integrator product page. Have you ever been fed up with Apple’s closed ecosystem and inflated prices? Perhaps you’re bored to death with Windows falling over for little reason? Maybe you need to look at other options, and you wouldn’t be alone in doing so. A new community driven online project, Libre Music Production launched this week with the intention of becoming a one stop shop for all who regularly use, or are looking at breaking free from the current standards and branching out into Free/Libre/Open Source Software (FLOSS). 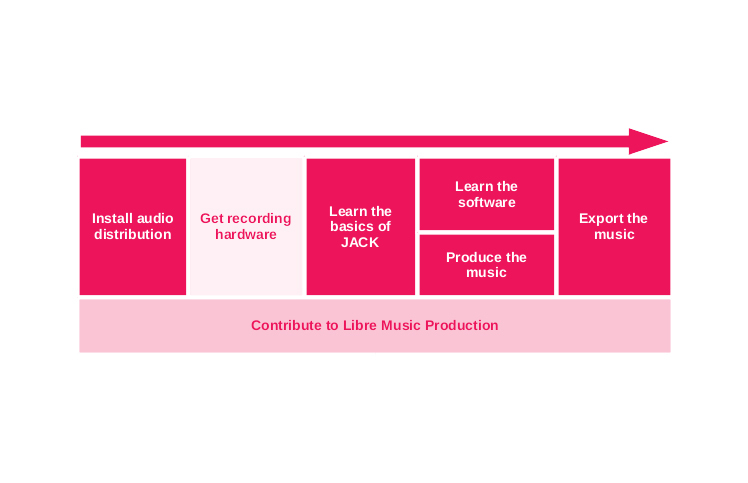 The idea of Libre Music Production (LMP) was born out of a perceived lack of integrated resources, and in particular a lack of information aimed at new and non-technical users. 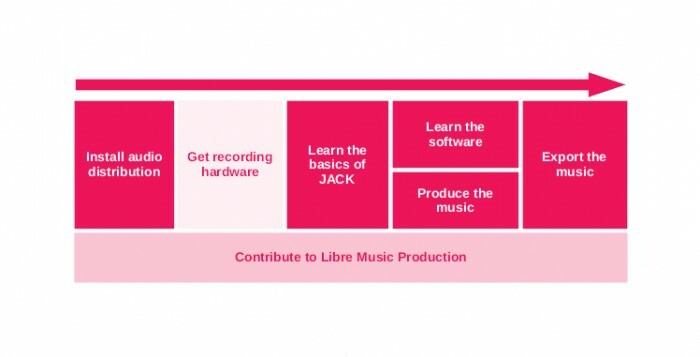 By providing hands-on material submitted by the community, such as guides, tutorials, articles and news updates, it’s the aim of Libre Music Production to show you that there is FLOSS audio software out there that’s a real alternative to the usual formats, as well as show you how to practically use that software to make music. The articles and tutorials are supported by a Jargon Buster and FAQ-section, as well as a tools listing, and all are linked to throughout the website. We here at Book Of Sound think that as computer component and hardware production becomes cheaper and technological literacy proliferates with each new generation of musicians, FLOSS may well be the a shining beacon in the future of audio production. The creation of LMP is a great step in formalising a community as well as driving innovation and focusing attention within, and on to, the community.